Through 13 weeks, our Position vs. Fantasy Defensive Points Allowed tool has solidified as a pretty good guide to help you find friendly matchups. At fantasy playoff time, you need to be on top of your game, so read on! As always, please remember that the players listed are mostly meant to be borderline guys, who need reasons for you to play or bench them. You won’t see recommendations to start Peyton Manning and Calvin Johnson, because you should always start Peyton Manning and Calvin Johnson. Luck might be the eighth-ranked quarterback in FOXSports.com fantasy scoring, but he hasn’t cracked the 20-point barrier in any of his last four games, and he’s got a road matchup this week against the seventh-ranked Bengals’ fantasy defense (16.5 FPPG). Losing so many offensive weapons (Reggie Wayne, Dwayne Allen, Ahmad Bradshaw) hasn’t made things easy for Luck, and neither has some conservative play calling. Keep Luck on your fantasy bench this week. – Though the Seahawks are without some key defensive players, they’re still the league’s second-stingiest (12.6 FPPG) against opposing fantasy quarterbacks. San Francisco’s Colin Kaepernick has been up and down this season, and even though I think the Niners have a good chance to win Sunday’s NFC West battle, you’ve probably got better fantasy QB options. – Kaepernick’s Week 14 opponent, Russell Wilson, is on fire, averaging 27.3 fantasy points over his last four games. Unfortunately for him, the 49ers’ fifth-ranked fantasy defense (14.4 FPPG) is waiting to make his life difficult. While I usually love Wilson around here – love, love, LOVE him – he’s QB13 on my board this week. He’s not a terrible play, but you might have a better one. Is some garbage time on the horizon for Fitzpatrick? Maybe, as the Broncos’ 27th-ranked fantasy pass defense (22.9 FPPG) is partly attributable to opponents passing from some big deficits. Fitzpatrick has averaged 22.5 fantasy points over his last four outings, and that’s pretty good. Don’t be afraid to roll with him in your postseason matchup. – While you never want to read too much into matchups, Joe Flacco has a great one at home against the Vikings’ league-worst fantasy defense (25.4 FPPG to opposing QBs). Think about Flacco if you hate your alternatives – he’s QB12 on my board for the week. – Bet you didn’t know that Alex Smith ranks 10th among quarterbacks this season in FOXSports.com fantasy scoring. Smith’s matchup with the Redskins’ 23nd-ranked fantasy defense (22 FPPG to opposing QBs) puts him into the Week 14 fantasy starter conversation. – At the time this article was published (Thursday morning) we didn’t yet know who the Bears’ starting quarterback would be on Monday night. Against the Cowboys’ 31st-ranked fantasy defense (24.1 FPPG), either Jay Cutler or Josh McCown would be a solid fantasy start. Keep an eye on news from the Bears’ practices. It’s easy to like how dependable Thomas has become lately, but the Panthers’ front seven is terrific, and the team’s defense ranks fifth against opposing fantasy runners (13.4 FPPG). Thomas isn’t an avoid-at-all-costs type, but he’s RB27 on my board. – Danny Woodhead has been better than expected this season, ranking 17th in FOXSports.com fantasy scoring. However, he hasn’t touched the ball more than 10 times since Week 9, and he’s up against the ninth-ranked Giants’ fantasy defense (15.3 FPPG to opposing RBs). Stay away from Woodhead if you can. – BenJarvus Green-Ellis has a tougher-than-usual matchup with the 10th-ranked Colts’ fantasy defense (16.2 FPPG to opposing RBs). He’s an unattractive RB37 on my board. SJ39 was in this space last week, and he didn’t disappoint, carrying 23 times for 84 yards and two scores against the Bills. Against a 25th-ranked Packers’ defense (20.5 FPPG to opposing RBs) that has allowed more than 200 rushing yards in three of its last four games, Jackson looks to be a solid start. – Ray Rice owners should be ready to start their man against the Vikings’ 28th-ranked fantasy defense (21.9 FPPG vs. opposing RBs). Bernard Pierce can be considered as a flex play in many formats as well – he’s RB38 on my board. Did you know that Smith ranks 40th among wide receivers in FOXSports.com fantasy scoring, behind even teammate Brandon LaFell? Smith is still a pretty good real-life wiedout, but he hasn’t cracked the 100-yard barrier all season, and is about to face the Saints’ seventh-ranked fantasy defense (18.3 FPPG allowed). He’s a shaky flex play this week. – Anquan Boldin has a date with Richard Sherman and the third-ranked Seahawks’ fantasy defense (15.7 FPPG to opposing WRs) on Sunday. Boldin is 19th among wideouts in FOXSports.com fantasy scoring, but that’s a bit misleading, as he racked up 23.9 percent of his points in a Week 1 outburst. Avoid Boldin if you can. How can you not start a wide receiver who’s catching passes from The Greatest Quarterback Ever? OK, that’s a joke – sort of. Nick Foles and Cooper should have oppotunities to hook up against the Lions’ 31st-ranked fantasy defense (28.8 FPPG to opposing WRs). – Rueben Randle has caught three passes in each of his last four games. That’s not great, but he’s not a bad flex candidate against the Chargers’ 28th-ranked fantasy defense (26.7 FPPG vs. opposing WRs). – Is Roddy White back? It sure seems like it after his 10-catch, 143-yard explosion against the Bills. White appears primed for a solid day against the Packers’ 23rd-ranked fantasy defense (24.9 FPPG to opposing WRs). He’s firmly in the WR2 tier. Yes, Housler is a boring entry here, but most of the tough matchups are for guys you wouldn’t consider starting (like Brandon Pettigrew), or guys like Jimmy Graham and Vernon Davis, who shouldn’t ever be benched. Housler is a usually borderline type with a difficult opponent in the Rams (6.4 FPPG to opposing TEs). Graham leads all tight ends with 32 targets over the last three weeks, and has caught 15 passes for 204 yards and a score over that span. He’s TE3 on my board this week, thanks to a matchup with the Jaguars’ 30th-ranked fantasy defense (10.4 FPPG to opposing TEs). 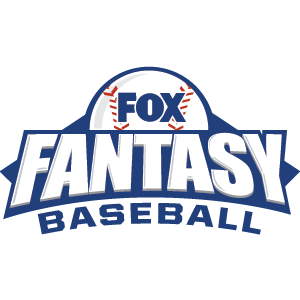 Graham is owned in just 21.1 percent of FOXSports.com leagues, so you might still be able to grab him. – Ladarius Green played on more than 90 percent of the Chargers’ snaps in Week 13, and has caught five passes for 125 yards and two touchdowns in his last two games. The Chargers appear committed to using plenty of two-TE sets, so Green can be considered as a spot start against the Giants’ 25th-ranked fantasy defense (9.5 FPPG to opposing TEs). – The Cardinals have given up 15.1 FPPG to opposing tight ends, which is 45.2 percent more than ANY OTHER TEAM. Jared Cook shredded the Cardinals for seven catches, 149 yards and two touchdowns in Week 1, and will look for a repeat performance in the desert on Sunday. Cook is TE14 on my board.